Held in Olney's Youth Centre, Mum & Co offers space for toddler and pre-schoolers to try out trikes, ride-ons and mini-buggies. 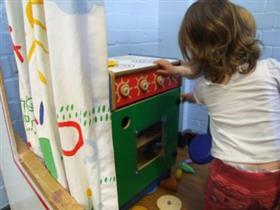 There is dressing up, climbing, a doll's house, train set, craft table and much more. Also a quieter area for babies. £1.50 per child, then 50p per additional child over 12 months old. Price includes teas, coffees, juice and biscuits are served in the seating area.